In response to the call for a “Sixth International Week in Solidarity For Anarchist Prisoners,” which will take place all over the world from the 23rd to the 30th of August, there will be a first winter fair of independent materials on August 25th. This is an open call for anyone who wants to send us proposals with an anti-authoritarian focus to add to the activity. 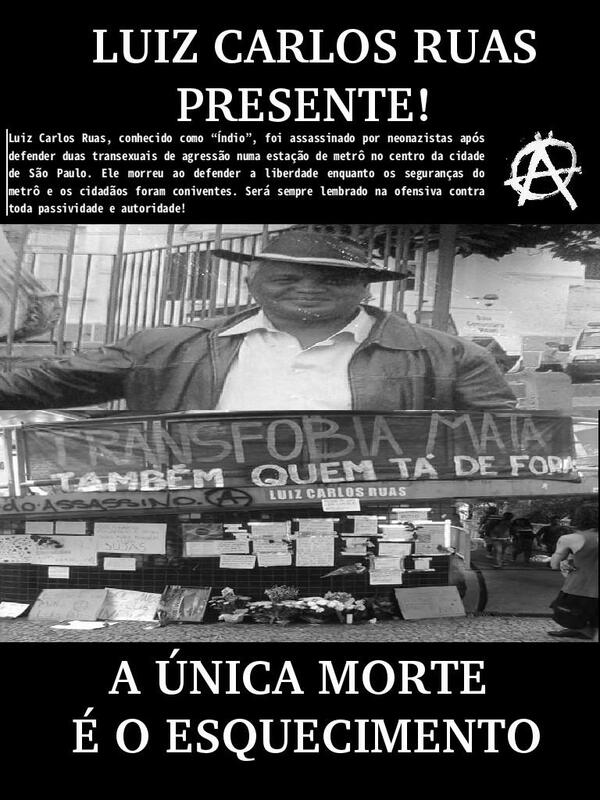 In addition, it is mainly an invitation to participate in this initiative that will happen in the “Tia Estela Space” , a squat of homeless people located underneath the so-called “Alcântara Machado Bridge” in São Paulo. Any contribution to self-management of this space is welcome. Translated by Tormentas de Fogo. “Operation Érebo” the earth moves. At dawn on October 25, 2017 the weather darkened for the anarchists of Porto Alegre. The Civil Police with the so called “Operation Érebo [Erebus]” launched raids and assaults televised by the local media and transmitted by the speakers of the system in maximum volume. From this police reaction, from the show and media scrape, and from the agitation in the anarchist orbit a thousand and one needs, urgencies, ideas, impulses and feelings have crossed us. From this reflection was born this will to communicate. We point our determination against the enemy and we strengthen our pace with those who live anarchy in its positions and practices.